Dynamically enhance your movies and games. Rich, bright images with SmartContrast technology and a slim stylish display make this LED Monitor a very attractive choice! The Philips 24” Full HD 1920×1080 LED Monitor with Speakers boasts of an extra wide viewing angle of 178/178 degrees made possible by optimized pixel management. 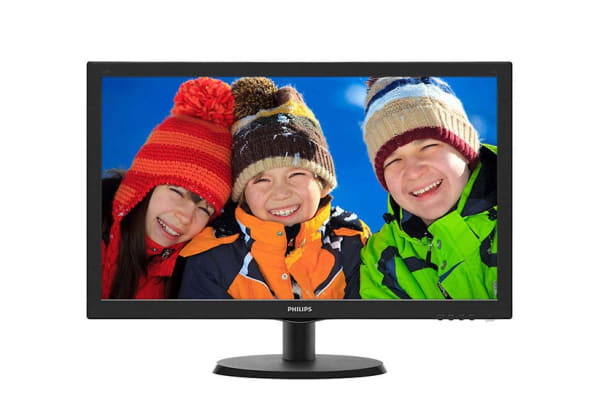 This lets you enjoy beautiful and clear images no matter where you’re viewing the monitor from. Audio that packs a punch! Unlike other monitors, this one includes a pair of built-in high-quality stereo speakers enabling you to enjoy powerful sound without any extra expenditure on external speakers. This monitor automatically adjusts colours and controls the intensity of the backlight according to the type of content that’s being displayed. It also gives you the option of selecting the Economy Mode if you wish to save energy with day-to-day office applications. 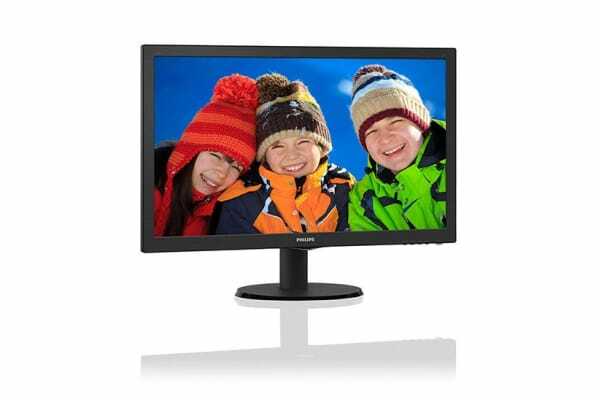 All in all, this monitor delivers optimum output whether you’re using it for work or to relax with a game or movie! Enjoy excellent picture quality with superb details, optimum brightness, dynamic contrast, and colours that are absolutely true to life. Movies and games take on a new life on this 16:9 Full HD display! Thanks to an amazing 3D icon-based GUI monitor control software aptly nicknamed SmartControl Lite, you can enjoy precise control of monitor parameters like colour, brightness, screen calibration, ID management and more on this LED Monitor with simple clicks of your mouse.